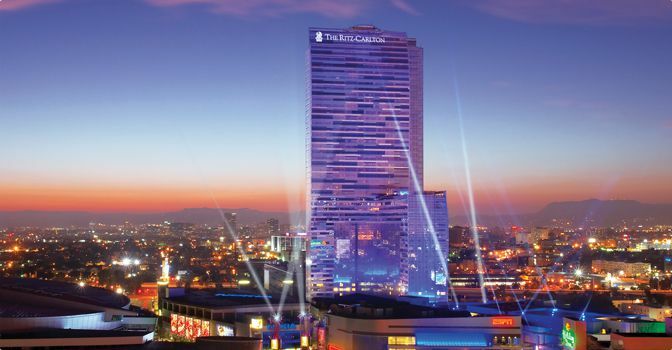 The Ritz-Carlton Residences at LA Live will dramatically reshape the city’s world-famous downtown skyline. The luxury residences, starting on the 27th floor and rising up to the 52nd floor, stand boldly as an icon above the bright lights of Los Angeles. The Residences will offer breathtaking views, world class amenities and the legendary services of The Ritz-Carlton hotel. Below sits LA Live, a new, vibrant, world-class entertainment district, envisioned as the “Times Square of the West.” Popular clubs, dining, movie theaters, museums, sports and special events at the Staples Center will be mere steps away. It is true luxury and ultimate convenience wrapped into an unparalleled Los Angeles lifestyle experience.